The United States Department of Agriculture (USDA) and the Food and Drug Administration (FDA) oversee labeling for food items sold in the United States. The labels on products regulated by these two entities do share many common features, such as a statement of identity, net quantity declaration, nutrition label, ingredient statement and responsible party information. However, there are some differences in the information found on their respective labels. 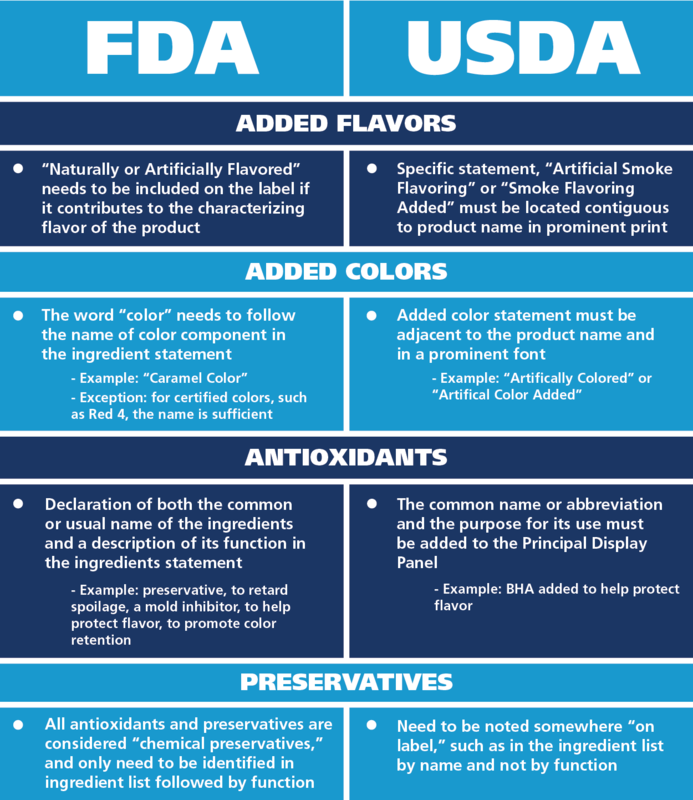 As part one of our two-part series on the differences between USDA and FDA labeling requirements, let’s examine the overlapping product categories and how the statement of identity can vary based on which entity oversees your product type. On the surface, labeling jurisdictions sound fairly black and white. 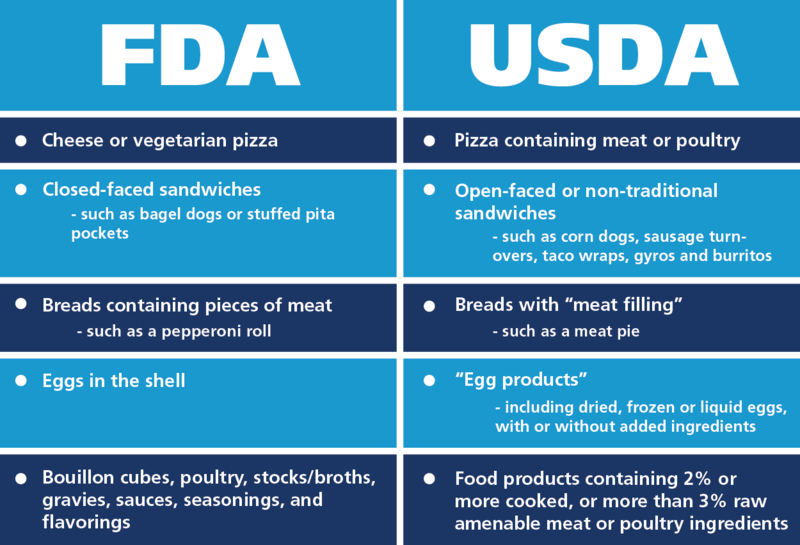 The USDA’s Food Safety and Inspection Service (FSIS) has primary responsibility for the regulation of food labeling for meat and poultry products under the Federal Meat Inspection Act and the Poultry Inspection Act. They also regulate food labeling for exotic species of animals under the Agricultural Marketing Act. Meanwhile, the FDA oversees the labeling of foods and food ingredients under the Federal Food, Drug and Cosmetic Act, in addition to the Fair Packaging and Labeling Act. 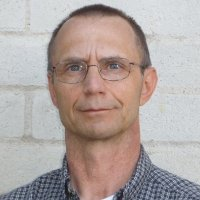 However, there is some gray area where the jurisdiction of these two regulatory bodies overlaps on certain types of packaged retail products.